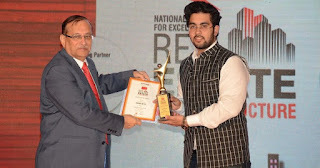 Chandigarh 30th July:- Sagar Setia, Director, Mona Townships Pvt Ltd (MTPL) has been awarded with the "Young Achievers Award" in the National Awards for Excellence in Real Estate & Infrastructure category at CMO Asia 'National' Awards 2015. 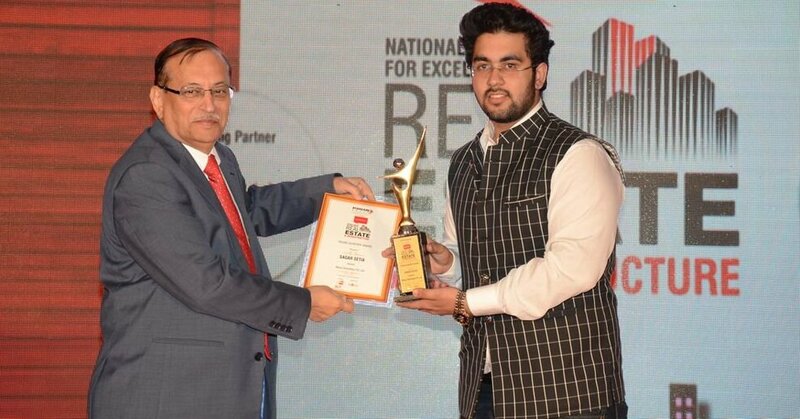 Sagar Setia, Director, Mona Townships Pvt Ltd (MTPL) has been awarded with the "Young Achievers Award" in the National Awards for Excellence in Real Estate & Infrastructure category at CMO Asia 'National' Awards 2015. . Sagar Setia was among the four winners out of the eight nominees for the award. The award which celebrates the highest level of achievement by companies and individuals operating in the real estate and infrastructure sector was held at The Taj Lands Hotel, Mumbai. Elated at receiving the prestigious award, Sagar Setia said that he humbly accept this award on behalf of the entire Mona Townships family. At Mona Townships we work as a well-oiled machine with every member in sync and synergy with one another, helping deliver quality real estate products while also serving the society through various social engagement platforms & CSR initiatives. This award is recognition of the quality which Mona Townships has brought to the real estate sector in India. The National Award for Excellence in Real Estate and Infrastructure celebrates the highest levels of achievement by companies and individuals operating in all sectors of property and Real Estate as well as Infrastructure Industry. The Awards recognise, encourage and promote excellence in the Real Estate profession and highlight important elements of real estate practice such as commitment to service, client satisfaction, innovation, professional development, community involvement and contribution to the profession. This is a National-renowned mark of excellence. The award is recognition of Sagar Setia's inspiring contribution to the real estate industry and the company. Under his leadership, he has been able to trasport Mona Townships to newer echelons. Taking Tejinder Pal Setia, the Chairman (His father and the founder of Mona Townships Private Limited) dreams forward, he played a crucial role in Mona Townships Developer's transitory phase from a developer of residential townships in Mohali, Zirakpur, Ghazipur etc to state-of-the-art mixed use commercial project Jade-90, which is spanning in 1.3million sq.ft in Sector 90, Mohali. Within a short span, Mr Sagar Setia has expanded the horizons of the Mona Townships business territory and established the company as an innovative developer with customer satisfaction at its helm.